When experiencing cold weather, keeping your barn well insulated and without drafts, while producing proper air flow are the first steps to maintaining bird comfort. Following these, it is important to measure and control the level of gases in the birds’ environment. Below are a few examples that you may encounter in the barn and the risks associated with undesirable gas levels. While walking through the barn, you notice that your poults are moving slowly and are huddling together. After measuring air quality with a carbon dioxide meter, you see that the levels are over 2,500 ppm. Inactive poults can be a sign of high carbon dioxide in the air. Carbon dioxide is formed through the normal combustion of fuel in brooder stoves as well as the respiration of the birds. Pockets of high carbon dioxide can be caused by a lack of ventilation or from poor air mixing. Carbon dioxide is an important indicator of overall air quality. Studies from the University of Georgia, have found that during the first days of life the birds and the heaters produce the bulk of the C02. After the first 7 days, however, the focus needs to be on moisture control as the rate of increase occurs at a more rapid pace. 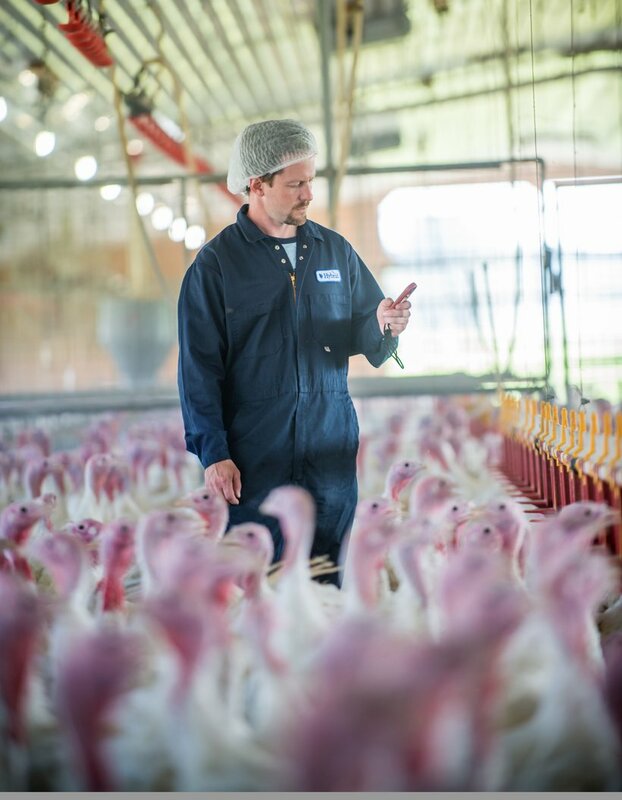 Keeping the humidity under 60% should result in good C02 levels that are important for the health of the turkeys at any age. Furthermore, by keeping the litter conditions dry and ammonia levels low, the poults are less affected, especially if you have sealed up the barn more tightly in cold weather. We will cover the impact of temperature and humidity in the next installment of the cold weather ventilation series. After a few days of running the heaters, you notice that carbon monoxide levels are high. 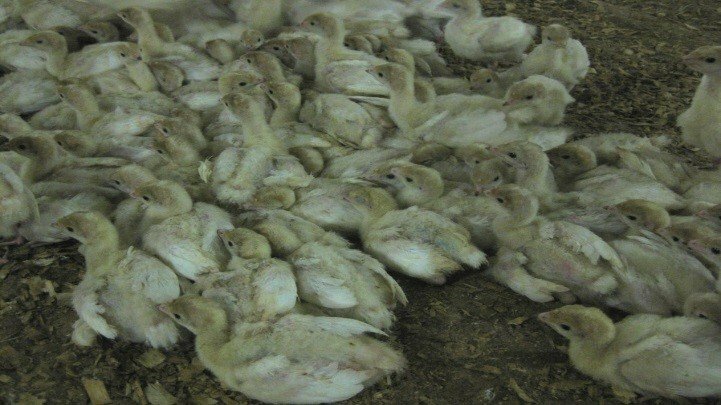 The risk with high CO levels is that it latches onto hemoglobin and starves the tissues of oxygen, which is directly poisonous to poults and people working in the barns. To manage this issue, it is important to keep the stoves well-maintained. Even if the barn is properly ventilated, a stove putting out high levels of carbon monoxide will cause health issues for the birds as well as barn workers. It is important to keep those levels below 20 ppm. When walking in the barn, you notice the slight smell of ammonia. After measuring the air, the ammonia levels read over 25 ppm. High ammonia levels can be the most detrimental to bird health. After extended exposure to ammonia, the immune system becomes suppressed and the birds are more vulnerable to a number of health risks. 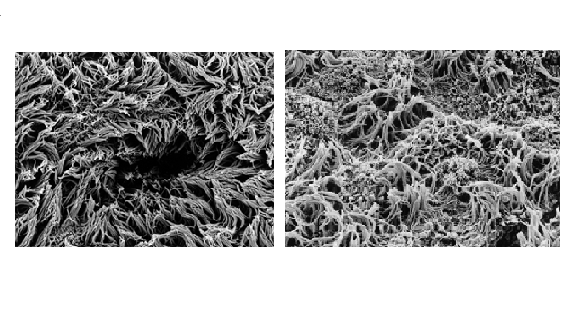 Additionally, ammonia destroys cilia in the windpipe and allows more dust to enter the airsacs. It is important to regularly monitor ammonia since you can become accustomed to levels of ammonia and not realize it is increasing. 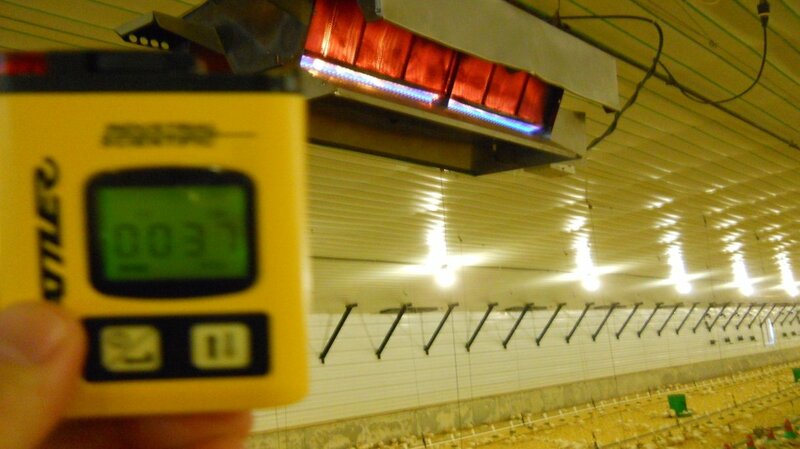 Keeping your barns properly ventilated during cold weather will assist with controlling environmental gases. However, regular inspection with some of the tools mentioned as well as looking at the behaviour of the flock will provide a clear direction on whether additional ventilation adjustment is needed or maintenance of stoves is required. To learn more check out part one and part two of our series on cold weather ventilation.